The sail training vessel Asgard II has sunk 20 miles off the coast of France in the Bay of Biscay. The ship was lost at 8.25am local time (7.25am Irish time) 20 nautical miles from the French coast, southwest of Belle-Île-en-Mer. Asgard II had earlier been abandoned after taking on water. The alarm was raised shortly before 2.30am this morning. The five crew and 20 trainees, most of them Irish, took to the ship's life-rafts. The ship's captain, Colm Newport, said that the vessel was abandoned in an orderly fashion and with no injuries. 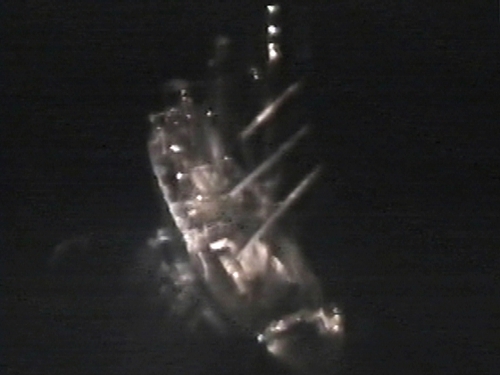 He said that all 25 people were off the ship in four or five minutes, and that they stayed alongside the stricken vessel while communicating with search and rescue. Within 20 minutes from the initial alarm, they had moved the life-rafts away from the Asgard II, which had water up to its deck at that stage. The crew and trainees were rescued by a French coastguard vessel. They were taken to a hotel on the nearby island of Belle-Île-en-Mer. Mr Newport said that he has no idea what caused the ship to sink, adding that it would be foolish to speculate. He said that there was a 'sudden ingress of water', which caused the vessel to lose stability. All those on board were now in contact with 'their people at home', and were in warm clothes, being looked after well by the people on Belle-Île. However, they had been through a traumatic event. The Irish Ambassador to France, Anne Anderson, is travelling from Paris to Belle-Île to meet the crew and trainees. The operation of the Asgard II, which is a civilian-run traditionally rigged sailing ship, is run by a voluntary committee chaired by the Minister for Defence.